Review - I just got schooled big time. I maintain a blog devoted to YA and spotlighting great Australian work and not once in the nearly two years of Persnickety Snark's existence have I read a Jaclyn Moriarty title. Now I have...and I feel like a dunderhead for waiting so long. 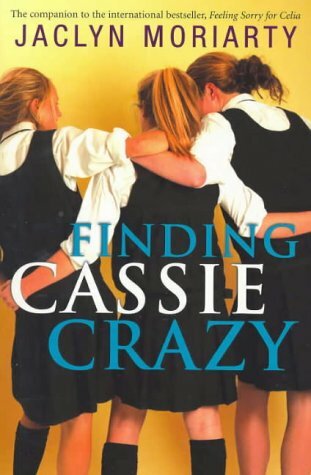 Finding Cassie Crazy was a tightly plotted, sensitive and chaotic tale of three slightly bonkers students from the exclusive and private Ashbury High. In exchanging letter with three corresponding students from the local public school they are doing the bidding of their English teacher. Initially approached as a throwaway non graded pass task it evolves into much more when friendships emerge and loyalties strengthen. On surface level this book bursts at the seams with bedlam, acts of tomfoolery and hefty doses of random. Once you dive beneath these overwhelming layers you find a strong emotional core that plays out on two planes. One being the letters exchanged and the second being the other forms of written communication that share page time with the letters. This could have been staid - a series of letters, diary entries and emails - but Moriarty presents them in a shuffling order choosing to focus on a specific relationship and at other times on gender groupings. It keeps the reader on their toes, engaged and invested. It is fantastic to read of a friendship of three girls where the fear of being left out isn't an issue. The Ashbury 3 (Em, Lyd and Cassie) are smart, devious and scarily unpredictable but they also have strong heads on their shoulders. At no point is their friendship in doubt - it just is. The tension isn't in whether their friendship can survive but in how they will overcome their obstacles together. 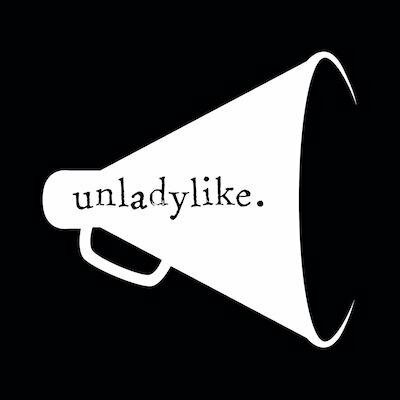 Girls united for the benefit of all. They've all got their individual problems - Lyd's parents are tremendously self-involved and she possesses destructive tendencies as a result. Cassie's still muddling through the grief that swept through her life the day her father died as well as the antagonist pen pal who won't cut her a break. Lastly, there is Em who knows what she wants but doesn't know if she's built to get there. Every facet of this story is a series of truth. A character's retelling of an event or interchange shows that bias is a constant presence in this journey. It leads to scenes of disjointedness, information withheld and jolting segues. It left me both muddled and starstruck - it's wonderful. If a book could be a whirling dervish of saucy banter, painful admissions, friendships grown and a truckload of moxie this would be it. Hey, I'm glad you've discovered Jaclyn Moriarty! I was wondering if you've read her because she's Australian. Her books are a lot of fun and I love how it focuses more on friendship rather than romance (unlike most YA books out right now). I've read her first three books and I'm looking forward to reading Ghosts of Ashbury High. I need to read this now just because of that "I am a fish" comment. It's like pseudo-homage to Faulkner's "My mother was a fish" and it's hilarious. This one's on my favorites shelf! Jaclyn Moriarty is so good at making each of her characters have a distinct voice. Another of my favorites of hers is Feeling Sorry for Celia. When I read that this was your first Jac Moriarty I had a pang of jealousy, wishing I still had her books waiting for me to read them for the first time. Luckily for me, they stand up well to re-reading! oops. you'll need to backpedal and read 'feeling sorry for celia'. i'm glad you've finally joined this party! i had assumed you'd read all her work! being Aussie and all ;) her first book came out nearly a decade ago and is one of my all time faves. i definitely would have recommended her to you a while back when you were hanging out for the best YA. She is one of my all time favourite authors. You mean I read Jaclyn Moriarty's books before you did? :D But yay, glad you like! Feeling Sorry for Celia was my first, and still my favorite. You should read it! I adore this book. I won it in a giveaway and have since read everything by Jaclyn Moriarty, she's amazing. Just wait till you read The Ghosts of Ashbury High, it's brilliant and features Cass, Lyd and Em again - who I adore and are definitely one of my favourite friendships. Nicaea and epirus both linked for the above denomination, and became to escape constantinople. I adore Jaclyn Moriarty's writing and her sense of humour. Her books are an absolute joy. I absolutely adore Jaclyn's books! You should also read the other ones; Feeling Sorry for Celia, the Betrayal of Bindy Mackenzie and Dreaming of Amelia. Finding Cassie Crazy is my favourite though. Lovely review, Adel! I've never read anything by Jaclyn Moriarty but the name is familiar. This book definitly needs to go on my wishlist. Finding Cassie Crazy is undoubtedly fantastic but Dreaming of Amelia/Ghosts of Ashbury High (can't remember what it's called in Australia) is even better, especially since Lyd, Cass and Em return. I was much less impressed by Becoming Bindy McKenzie, though.